At Tesla’s annual meeting on Tuesday, CEO Elon Musk shared that his company will be producing 500 Model 3 sedans per day as it works to achieve its target of producing 5,000 vehicles per week by the end of this month. Musk noted that it is “extremely likely” the car maker will reach this goal. Following the announcement, Tesla shares rose nearly four percent this morning. The company has experienced issues producing Model 3s recently because of production bottlenecks, despite Musk telling investors on Tuesday that the capability is there to crank out 3,500 Model 3s per week. “The Model 3 ramp is understandably the central focus for investors as the company works to increase production,” Baird Equity Research Analyst Ben Kallo said in a research note. Out of 27 analysts covering the stock today, the average price target was $289, and it was trading for $301.50 this morning. Additionally, nine of the 27 analysts have a “buy” or higher rating for the company, 10 give a “hold” rating, and eight have a “sell” or lower rating. Along with the aforementioned production bottlenecks, Tesla has recently experienced financial troubles and a myriad of other issues with its Model 3 production. The company has failed to meet its own production goals consistently through the first six months of 2018, slowly pushing back Musk’s projected numbers for the company. Last July, the CEO claimed Tesla would be pushing out 20,000 Model 3s per month by December. Musk decreased that projection to 2,500 per week by the beginning of this year; however, by the end of the first quarter, the company reported a peak of 2,270 cars per week. According to Musk, delays were due to a supplier that “really dropped the ball” at the Nevada Gigafactory, as well as faulty parts that had to come off the line and several fires at Tesla’s California paint factory. 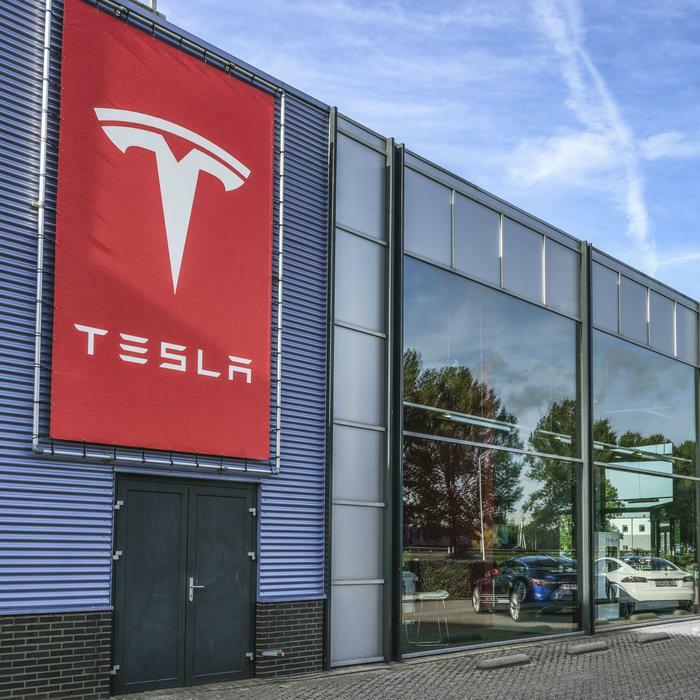 Tesla’s Model 3 also made news recently after the company refunded nearly a quarter of prospective customers who had put down a deposit on the car. Tesla had been marketing the Model 3 as a car for the masses, with its starting price at $35,000 -- a mere fraction of the nearly $100,000 consumers pay for the Model X or S. However, when the company began collecting $1,000 deposits from customers interested in the Model 3, production had yet to start. Now, with over half a million customers that have left deposits, Tesla workers can’t meet the rigorous demands for the vehicle. As of April, Tesla had delivered just over 8,000 Model 3s, and none were sold for the initial price of $35,000. Instead, the cars were in the $50,000 range due to the company prioritizing orders for more expensive upgrades. Despite recent issues, Musk was confident on Tuesday that the Model 3 vehicles -- and Tesla as a company -- are heading into the rest of 2018 on better footing. Musk also promised that Tesla will be making the base model of the Model 3, which will be available to consumers by the first quarter of 2019.